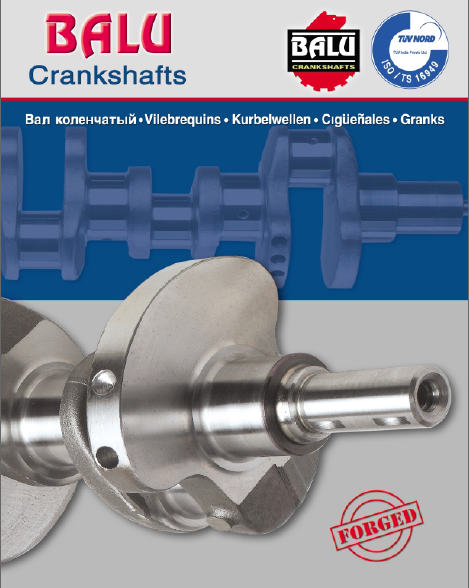 ‘Balu’ will continuously strive to be a preferred supplier of crankshafts to OEM's in India and around the world. ‘Balu’ aims to enhance and grow its reputation as one of the world's most respected manufacturing companies by exceeding customer expectations, providing an engaging and supportive work environment, and delivering financial success. We aim to always UNDERPROMISE & OVERDELIVER in all our ventures. While pursuing the above, we will ensure that we establish a robust management system so as to enhance customer's experience in dealing with us, satisfaction of all stakeholders and due consideration to the environment. Respect: We value each other, our customers, our business partners, and our environment. Honesty: We are genuine and open in our communication and business practices. Commitment to Quality: We deliver products that exceed our customer's expectations.